The Heinkel He 70 was a German mail plane, passenger, liaison, training and bomber aircraft of the 1930s. Although useful, it had a relatively brief commercial career before it was replaced by types which could carry more passengers. As a combat aircraft, it was a not a great success because it rapidly became outdated. Nevertheless, the He 70 was a brilliant design for its day, setting no fewer than eight world speed records by the beginning of 1933. The Heinkel He 70 Blitz was designed in the early 1930s to serve as a fast mailplane for Deutsche Lufthansa. The He 70 was developed in response to Lufthansa request for a faster aircraft than the Lockheed Vega and Orion (as used by Swissair) for employment on short routes. It was a low-wing monoplane, with the main characteristics of its revolutionary design its elliptical wing, which the Gx�nther brothers had already used in the Bx�umer Sausewind sports plane before they joined Heinkel, and its small, rounded control surfaces. In order to meet the demanding speed requirements, the design minimised drag, with countersunk rivets giving a smooth surface finish and a retractable undercarriage, a novel feature for a German aircraft. It was powered by a BMW VI V-12 engine, cooled by ethylene glycol rather than water, allowing a smaller radiator and therefore reducing drag. The pilot and radio operator were seated in tandem, with a cabin housing four passengers on two double seats facing each other. The first prototype flew on 1 December 1932, and proved to have excellent performance, setting eight world records for speed over distance, and reaching a maximum speed of 377 km/h (222 mph). Lufthansa operated He 70s between 1934 and 1937 for fast flight service which connected Berlin with Frankfurt, Hamburg and Cologne, as well as the Cologne/Hamburg route. Lufthansa He 70s were flown abroad from Stuttgart to Sevilla between 1934 and 1936. Remaining aircraft were transferred to the Luftwaffe in 1937. Twenty-eight aircraft were sent with the Legion Condor, where they were used during the Spanish Civil War as fast reconnaissance aircraft. Their high speed gave them the nickname Rayo (lightning). The He 70K (later He 170), a fast reconnaissance airplane variant was used by the Royal Hungarian Air Force in early World War II during 1941-42. The Luftwaffe operated He 70s from 1935, initially as a light bomber and reconnaissance aircraft, later as a liaison and courier aircraft. The main weakness of the He 70 design soon became obvious. The He 70 airframe was made out of so-called "electron metal", a very light, yet strong alloy of magnesium, which burns spontaneously in air when heated, and is only extinguished when covered in sand. A single hit from a light machine gun usually set the entire plane ablaze, killing the crew. The Hungarian He 70K fleet was promptly retired and replaced with vintage, high-wing He 46 monoplanes until modern Bf 109 fighter-recce and specialized Fw 189 "Uhu" medium altitude observation aircraft could be introduced. While the He 70 saw only limited service in training capacities during World War II, it was the Luftwaffe's first Schnellbomber and served as the antecedent for the majority of bombers involved in both the Battle of Britain and the attack on Pearl Harbor. The He 70 is known mainly as the direct ancestor of the famous Heinkel He 111 which used its distinctive oval wings and streamlined fuselage in a twin-engine configuration. One can also see the close similarity of the designs in the tail section and cockpit of the early He 111. The He 111, which began service with the Luftwaffe in 1936, went on to become the major bomber type in the early years of World War II. Heinkel's pioneering design was also a model for the He 112 fighter which competed unsuccessfully against the Messerschmitt Bf 109 to become the Luftwaffe's first monoplane fighter. The He 112 was nonetheless built in small numbers and its performance proved once again the strength of the He 70's original design. The fighter was basically a scaled down version of the He 70 and shared its all-metal construction and inverted gull-wings. The He 70 was exported to Japan for study and inspired the Aichi D3A ("Val") carrier-launched light bomber. This plane too shared the He 70's distinctive low-mounted oval wings and was only one of several collaborations between Heinkel and the Japanese aviation industry. It has been said that the He 70 was an inspiration or influence for the Supermarine Spitfire's elliptical wing planform, not without reason as a He 70G was flying in England as a Rolls-Royce Kestrel engine test aircraft at the time of the Spitfire's development. "We, at Supermarine Aviation, were particularly impressed, since we have been unable to achieve such smooth lines in the aircraft that we entered for the Schneider Trophy Races.... In addition to this, we recently investigated the effect that installing certain new British fighter engines would have on the He 70, We were dismayed to find that your new aircraft, despite its larger measurements, is appreciably faster than our fighters. It is indeed a triumph." It has been suggested that we at Supermarine had cribbed the wing shape from that of the He 70 transport. This was not so. The elliptical wing had been used on other aircraft and its advantages were well known. Our wing was much thinner than that of the Heinkel and had a quite different section. In any case it would have been simply asking for trouble to have copied a wing shape from an aircraft designed for an entirely different purpose. Shenstone said that the He 70's influence on the Spitfire design was limited to use as a criterion for aerodynamic smoothness which is to some extent verified by the extract of the letter from Mitchell to Heinkel quoted above. Second prototype with the crew of 2 and 4 seats for passengers. Third prototype armed with machine gun for trials of versions for light bomber, reconnaissance and courier duties. Fourth prototype built in 1934 for Lufthansa, powered by BMW VI 7,3 engine. Fifth prototype built in 1934 for Luftwaffe as light bomber, powered by BMW VI 7,3 engine. Passenger version for Lufthansa, 12 examples built. Light bomber version for Luftwaffe, later converted to F version. Reconnaissance / courier version for Luftwaffe. Passenger version built for Lufthansa, after 1937 converted to F version. One aircraft fitted with a 604 kW (810 hp) Rolls-Royce Kestrel piston engine. License-built Hungarian fast reconnaissance variant equipped with a licence-made 746 kW (1,000 hp) WM-K-14 radial engine. Prototype with DB-601Aa inline engine. 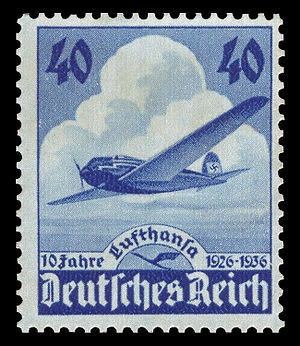 Lufthansa received the first two prototypes in 1933 and 1934 as well as three He 70D in 1934 and 10 He 70G in 1935. Imperial Japanese Navy Air Service received one aircraft for test. Rolls Royce acquired one He 70G from the RLM in exchange for 4 Kestrel engines. It was used as an engine test bed. Royal Hungarian Air Force received 18 domestically license-built He 170A aircraft. Ej�rcito del Aire received 11 aircraft of the 30 that had served with Legion Kondor. Green, William and Gordon Swanborough. "The Beautiful Blitz". Air International, January 1991, Vol 40 No 1. Stamford, UK:Key Publishing. pp. 25-33. ISSN 0306-5634. Nowarra, Heinz. Heinkel He111 A Documentary History. Jane's Publishing Co Ltd. 1980. ISBN 0 7106 0046 1. Townend, David, R. Thunderbolt & Lightning-The History of Aeronautical Namesakes. AeroFile Publications. 2009. ISBN 978-0-9732020-2-1. Heinkel He 70 Pictures and Heinkel He 70 for Sale.